The Australian Defence Technology Review has published an interesting article on the third phase of the LAND 400 program of the Australian Army. The LAND 400 program is the planned replacement of the currently outdated equipment of the Australian forces - such as the ASLAV and the M113 - with modern state-of-the-art vehicles. Part of the phase 3 is the procurement of a planned 450 medium-weight tracked vehicles, of which 312 will be fitted with a turret in an infantry fighting vehicle (IFV) configuration. 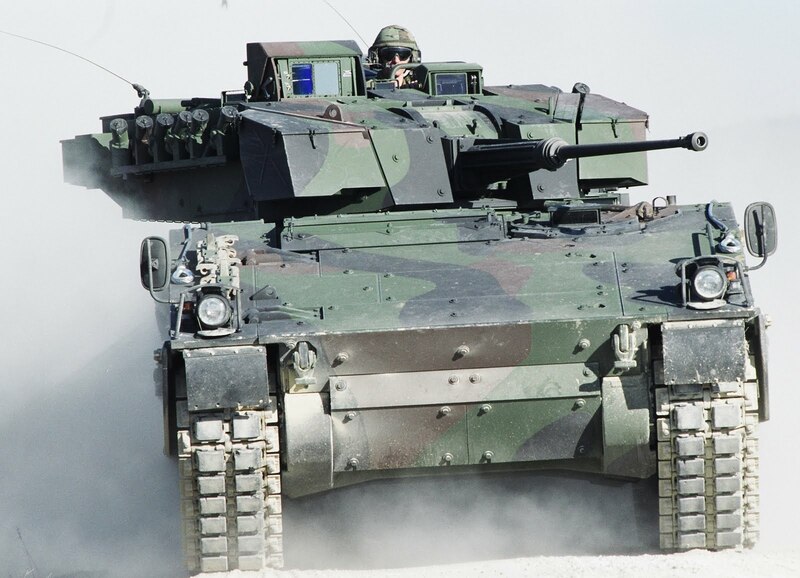 As of today, three contenders for this contract are known: The German company PSM (a joint venture of Rheinmetall and KMW) will offer their Puma IFV, BAE Systems is reportedly offering the CV9035 and General Dynamics is supposedly offering a vehicle based on the ASCOD 2. 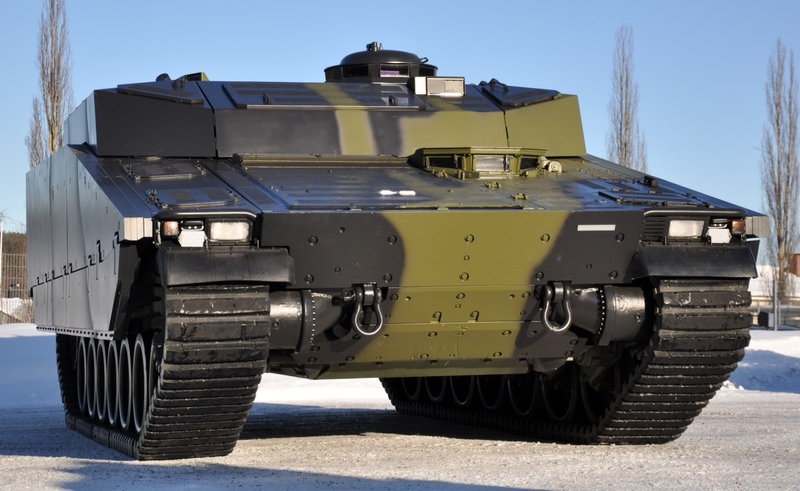 The Puma is one of the latest IFVs, with the first Puma entering service in June 2015. It's probably the heaviest armored IFV available on the market and is fitted with a number of advanced features like a decoupled running gear with hydropneumatic suspension, third generation thermals, a softkill active protection system (APS) and a modern fire control system (FCS) with independent commander's sight. The Puma will be armed with a 30 mm MK-30/2 ABM autocannon with athe ability to fire airburst ammunition, a coaxial machine gun, a dual-purpose Spike-LR ATGM launcher and an independent grenade launcher mounted on an elevatable mast. The Puma has not been fitted with an remote weapon station (RWS) yet. It is powered by a 10 cylinders MTU MT892 engine which is fitted in combination with a version of the HSWL 256 transmission from Renk. It provides an output of 800 kW. It seems to be rather clear that the Puma should be able to fullfill all armor and protection requirements, given it's weight, the German requirements and the extensive amounts of armor. Problems for the Puma are at least the lack of a turretless version for the non-IFV version, the rather huge price tag and the lower troop carrying capacity. Which version of the ASCOD 2 might be offered to Australia is unkown yet. The latest vehicle based on the ASCOD 2 is the British Army's Ajax, which will utilize the CTAS (case telescoped armament system) 40 mm gun (but the Ajax is not an IFV and transports no dismounts). The CTAS gun offers more punch than the 30 and 35 mm autocannons of the Puma and CV90, but suffers from lacking commonality with the planned 8x8 vehicle (for this GD offers the LAV 6.0 with 30 mm Kongsberg unmanned turret). Thus the ASCOD 2 version for the Australia is expected to be offered with a 30 mm Bushmaster II gun mounted in either a manned or unmanned turret. The early ASCOD 2 prototypes utilized the same SP-30 turret as the Ulan of Austria and the Pizarro of Spain, the original ASCOD 1 versions. This turret is manned by a crew of two and mounts a MK-30/2 autocannon from Rheinmetall, the previous version of the Puma's gun. While the Ulan and the Pizarro have been fitted with different fire control system, it seems that none of this is hunter-killer capable, despite both providing separated sights for the gunner and commander. These two FCS (made by Kollsman/Elbit and Indra respectively) are the only known to be fitted to the SP-30 turret. The ASCOD 2 utilizes the MTU V8 199T21 engine, which provides an output of 600 kW (about 800 hp). The engine is used in combination with the HSWL 256B transmission from German company Renk. However the original ASCOD design is lackluster at a few other places. Except for the current Scout-SV vehicles, such as the Ajax revealed last year at DSEI 2015, the ASCOD lacks a high performance anti-mine kit and heavy armor solutions. The basic ASCOD 2 is protected against 14.5 mm AP ammunition in accordance with STANAG 4569 level 4, although even the old flyers from several years ago mention the possibility of up-armoring the ASCOD 2 to level 5 (protection against 25 mm ammunition allong the frontal arc). No version of the ASCOD 2 has been presented with an RWS ontop of the turret, but a special APC version with RWS has been produced. The ASCOD 2 might also have issues with the 8-men squad requirement from the Australian Army - while the Ulan can carry 8 soldiers, the Pizarro (due to different interior arrangement and troop equipment) transports only a 7-men squad. The ASCOD 2 utilizes most likely decoupled mine-safe seats (like the Puma) and proper decoupled equipment storage, which makes it rather improbable that without deeper modifications an 8-men squad can be transported. Unlike the Puma, the ASCOD 2 will probably not offer an integrated ATGM without extra costs. 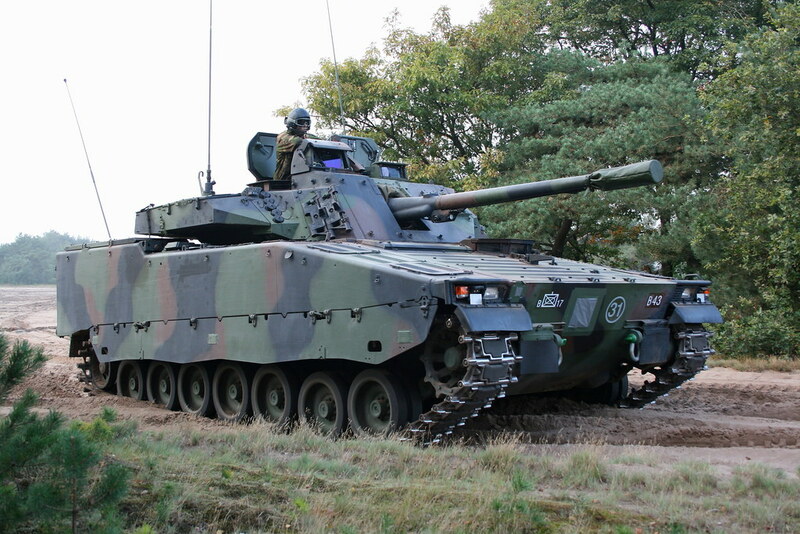 The Combat Vehicle 90 Mark III (CV9035) is the most proven of the three vehicles, being in service in the Netherlands, Denmark and was recently ordered by Estonia. The CV9035 uses the E35 turret armed with a 35 mm Bushmaster III gun from ATK. The same turret is also offered for the Patria AMV35 and thus the CV9035 would offer a great benefit in terms of commonization of parts and spares, if the AMV35 is chosen over it's competitors. The CV 90 Mk. III is powered by a Scania V8 engine with an output of 600 kW. The basic vehicle is constructed from steel, providing protection against 14.5 mm AP and 23 mm API along the frontal arc. However like the ASCOD 2, the CV9035 is pretty much always fitted with applique armor to boost the protection level to STANAG 4569 level 4 and/or level 5 at least. Further armor kits and mine-protection kits for the CV9030 and CV9040 have been developed, it seems reasonable to assume that those armor kits can be modified to CV9035 compatability. While BAE's brochures claim that the CV90 has hunter-killer capability, it seems that this is dependent on the exact FCS version fitted, which differs depending on user's configuration. A turretless version of the CV90 is already existing with the Armadillo APC. Unlike the ASCOD 2 and the Puma, there is at least a version of the CV9030 fitted with an RWS ontop of the turret; the possibility of adopting the same to the CV9035 seems to be given. The CV9035 however is also the oldest designs and suffers from more drawbacks. Like the ASCOD 2, the CV9035 lacks an ATGM armament for fighting heavier armored targets and/or helicopters. While the 35 x 228 mm caliber of the Bushmaster III gun packs about 50% more punch than a 30 x 173 mm round of the MK-30, it's much larger physical size has a very negative impact on ammunition stowage. While the Puma and ASCOD 2 (with SP-30 turret) both can carry 200 rounds loaden at the gun, the CV9035 has only 70 rounds available at the gun. The total ammunition stowage is also much lower. Furthermore the CV9035 is also not able to meet the 8-men dismount squad requirement of the Australian Army in it's current configuration deployed by the Dutch and Danish armies. It is interesting what currently seems to be happening in the SEA region. Australia is planning to acquire huge numbers of state-of-the-art wheeled and tracked vehicles, while many NATO countries including the US have to cut back most of their military procurment plans due to funding issues. There are a number of issues and unkown factors with the Austrlian LAND 400 program still: We don't know if other contenders will or already have responded to the tender for the tracked vehicle aswell. Currently we only know that the Puma - apparently most likely in the standard German Army configuration - the ASCOD 2 in an unkown configuration and the CV9035 in a somewhat unkown configuration will compete for the contract. All three of the previous mentioned vehicles might have trouble with the Australian Army's requirement for transporting a 8 men squad of dismounts and have other individual issues each. From my point of view the Puma might be the best bet, but also the most expensive. In terms of protection, technology and the armament concept (once the integration of the Spike-LR and the grenade launcher are finished) seems to be the most promising. The lack of ATGM armament on the other vehicles would be a no-go for me, but we don't know what GD and BAE will change for Australia. But who knows what the Aussies want, in the end they happen to have one of the most scatterbrained and odd mechanized infantry concept out there. The LAND 400 phase 2 will probably already be a preliminary decision, it seems likely that the winner of one contract will have a huge benefit in the other due to the ability of keeping parts exchangeable and cutting costs down.